If you’re just looking for a quick answer, I personally recommend the Babolat Pure Aero tennis racquet to every one of my intermediate level students. With a lightweight frame, this racquet helps develop a player’s swing speed and control; both skills which are drastically needed to turn them from intermediate to advanced. So you’ve been playing for a while and are well versed in the basic techniques of tennis. Maybe you’ve had a couple of lessons and your pro teacher thinks you’re ready to step up to the next level. Moving on from beginner to an intermediate level also means moving on from a beginner’s racquet to an intermediate racquet. Upgrading your equipment to suit your skill level is vital because as you progress in the sport, what you need from a racquet changes. As an intermediate player, you won’t need the racquet to generate all the power for you as your technique will do that. Instead, you will feel the need for a racquet with more control and touch to help you improve further. There are lots of other reasons to upgrade your racquet when you make the jump to the next level. From a heavier weight to one that gives more spin, there’s lots to consider when you choose the best intermediate racquet for you. As a beginner, a lot of the focus in your play is on getting enough power into your shots to be competitive and hitting the ball correctly (or at all!). Once you move on to the intermediate level however this changes. Your attention will shift instead to having more touch and feel in your game to help hit shots where you want to and put different spins on them to result in shots that just drop over the net and stop bouncing. By now you shouldn’t need a racquet to give you as much power as you have a medium to long stroke. As a more advanced player, you will be spending time on adding control to your game and you need a racquet to help you with that goal. It’s worth investing in a slightly heavier racquet when you progress within tennis as it will help you develop further. A word of warning though – slightly heavier is the key! Don’t go too heavy or this may lead to you becoming tired extremely quickly or even becoming injured after sustained play. A slightly heavier racquet will give you more balance and this will result in more explosive strokes and improved playability. The best intermediate tennis racquets will also be a bit more solid in terms of being able to receive a powerful return shot from an opponent. A lighter racquet can shift in the hand when you get hit a ball already going fast while going a slightly heavier racquet avoids this and allows you to counter your opponent’s shots better. As you move onto more advanced equipment, the set up of them becomes more sophisticated to suit your needs. One feature that will be very useful is the extra spin the best intermediate racquets will give you. The string pattern and arrangement will allow you to add tons of spin to your shots depending on the specific racquet you get. This is a very important technique as you progress in your game and your choice of racquet directly affects that. The difference in your strokes is what separates the amateurs from the better players and the choice of racquet can drastically improve your game quickly. A more advanced racquet will feel more stable in your hand when using it. This is especially important when playing a stronger opponent where you might need to take the power off their shots in order to return them effectively. It’s worth looking for something that feels comfortable yet solid when choosing an intermediate racquet. Doing this will ensure you get a stick that will help you improve your game while being pleasant to play with. One of the best intermediate racquets, the Babolat Pure Aero is especially for anyone who wants to dominate from the baseline. Babolat is one of the top tennis racquet manufacturers and this is one of their best sellers for a reason. The Pure Aero offers a great amount of speed and spin with superb stability. The weight is 10.6 ounces which splits the heavy racquets and the light racquets right down the middle. This means the racquet delivers a solid feeling when in use and is able to take the impact of powerful shots from your opponent. A great feature of this product is the amount of spin you can get with it. The responsive 16 x 19 string pattern means you can add lots of spin when you’re hitting the ball and it’s great for slicing the ball too. The Cortex system Babolat has incorporated into this product also dampens the majority of the vibrations from striking the ball and helps prevent injury. 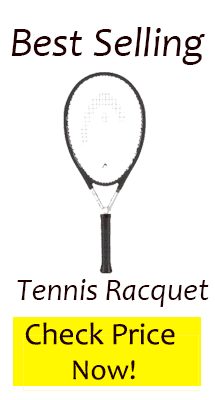 A very popular racquet, the Pure Aero is used by a lot of more advanced players within the game. It’s so easy to use, it practically plays for you! One of the biggest names on the market, Wilson always produces equipment that delivers. 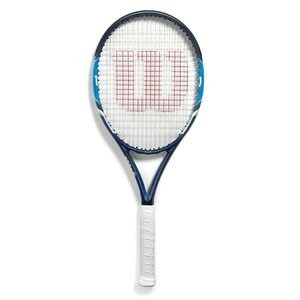 If you have been using a Wilson at beginner level, why not keep some continuity when you move onto your next racquet? One thing this racquet is amazing at is offering something for every player. It has the power to be good for baseliners but offers extra feel for those who like to be at the net. This superb feel is great as it allows you the sensitivity and control to improve your game. At 11.1 ounces, this racquet is strong enough to absorb the power of other players while giving you enough punch in your own game to compete. The head size is still big enough to offer a large sweet spot which will continue to help in connecting with the ball properly. A 16 X 20 string pattern and just the right amount of stiffness in the frame gives great response and spin to your shots. 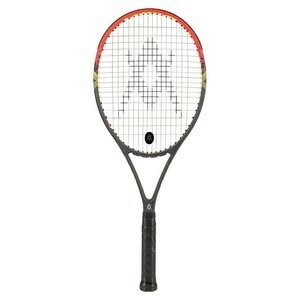 This is a great racquet to be moving onto for any player and really makes the grade as one you will love to play with. 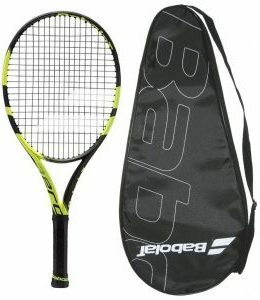 This is a fabulous racquet for the aspiring intermediate player and one that has become very popular these days. HEAD always designs and produces great products and this is no exception. 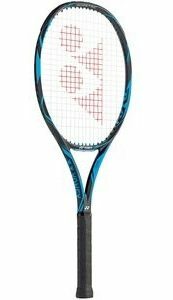 With a smaller head size of 98 inches, this racquet offers amazing control and will help in placing your shots accurately or playing volleys, drop shots etc. This is very important for the intermediate player as learning and using the different stroke types consistently is a major key in improving your game. Coming in at 10.4 ounces, it’s lighter than some racquets on this list but has enough weight to give you power and stability. The Head Graphene XT Radical also has an easily maneuvarable frame which enables you to play shots to all areas of the court and add variety to your game. In terms of spin this product delivers thanks to the 16 x 16 string pattern it comes strung with. This string pattern will give extra pop to your volleys and amazing amounts of spin to your groundstrokes. HEAD has designed a brilliant racquet with the Graphene XT Radical MPA and it’s one perfect for the next stage in your tennis journey. 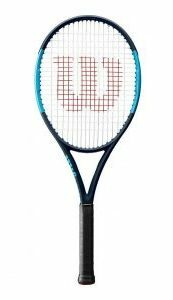 Favored by many pro’s such as Martina Hingis and Nick Kyrios, the Yonex DR 100 is a fantastic racquet that provides all the attributes you will need in a more advanced product. The isometric string pattern that Yonex have built into this piece of equipment gives a bigger, more sympathetic sweet spot. It also gives the racquet a responsive, lively feel that aids in giving you more control in your shots. The frame is top notch too with it being stiff enough to give punch and power while flexible enough to absorb the shock of striking the ball. The head size is 100 inches which is large enough to help you connect properly with the ball but still retains the ability to give you extra control. The open string pattern provides unreal amounts of spin and allows you to put that easily into your shots. At 10.6 ounces it feels solid but still light enough to swing easily and have amazing playability. 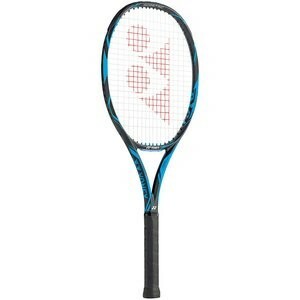 This is a superb racquet from the guys at Yonex and one that you will love once you’ve picked it up. It offers a fantastic blend of comfort, power and feel that all intermediate players will love. VOLKL are a company that are well-known in tennis for bringing out the latest in cutting edge products. The V Sense 8 is no exception this rule and comes in last on the list of best intermediate tennis racquets that you will love to use. 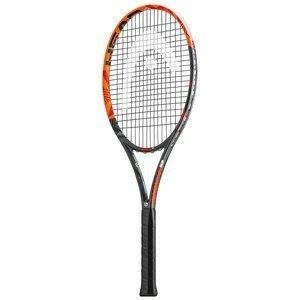 The real beauty of this racquet is that it gives you plenty of power whilst also giving you superb control. You will have no problem in putting the ball exactly where you want and this will improve your game as you progress. It has patented V Sensor technology built into the handle to make it super comfy and great to use. The weight of this racquet is just right at 11.1 ounces – while this is quite heavy, the design and way it’s balanced still mean it’s arm friendly and easy to swing. The weight also makes it very stable in your hand and aids you in returning powerful shots from your opponent. 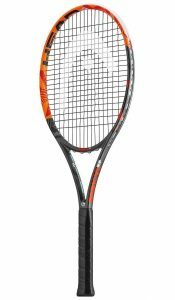 If you are looking for a dynamic racquet that will produce oodles of shot strength alongside excellent responsiveness then this is the one for you. The smooth handling and amount of feel it gives is second to none. 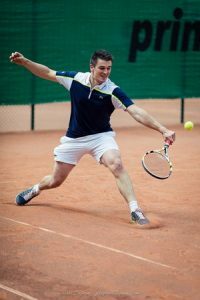 If you’re at the stage of moving up to intermediate level then it’s fairly certain you are committed to tennis and are serious about improving. Buying the correct equipment as you progress is crucial in honing your technique and become a better player. Picking up any of the racquets above will do this for you and give you many happy years of tennis to come. Hello, as an intermediate level female tennis player what grip and head size do you recommend for a tennis racket. Grip size is something that depends on your hands but you can figure it out in just 5 minutes using the guide above. You nailed it! The range goes beginner-tweener-intermediate-advanced racquets. I personally like tweener racquets because they are really good multi-use racquets and a lot of people tend to find themselves somewhere in between beginner and intermediate. Thanks, Julian. So, would the 285 version of the Volkl V Sense 8 that you list here as an intermediate recommendation be more of a ‘tweener because it’s a bit lighter? Thanks! Yes! Due to the light weight and high swing speed, I would classify the 285g Volkl V Sense 8 as an intermediate racquet. Having played with this racquet on the court, this racquet is perfect for people who have trouble swinging heavier racquets for the length of a match. Hi I used to play a lot in my youth to a strong intermediate level and now looking to get back into the game after years out. I’m 6’4 and in good shape strength wise, but at 43yo not as mobile as I used to be! No problem generating power, more looking for forgiveness and control from the baseline as the main attributes, as want to play better socially without time for lots of practice. 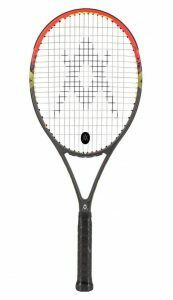 Thoughts on a racquet? Hmm, you sound like you know what you’re doing when it comes to playing tennis. I would recommend a racquet from Babolat’s line such as the Babolat Pure Aero which I describe in this article or the Babolat Pure Strike. The Pure Aero is lighter than the Pure Strike meaning you’ll be able to maneuver easier around the court but the Pure Strike is built for players who wish to smash baseline winners all day. It’s really up to your specific style on the court.